This three-part series by Dr. Bob Traynor, has been reprinted from HearingHealthMatters.org. Used with permission. Copyright © Hearing Health & Technology Matters, LLC. 2017. CanadianAudiologist.ca would like to thank www.HearingHealthMatters.org and Dr. Traynor for permission to reprint this blog series. Hughes, Sr. first went to the Dallas area to experiment with the oil business and later to East Texas where he would try his luck as a wildcatter. 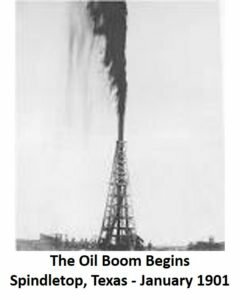 In that first decade of the century drilling was an arduous task, as drilling into hard rock formations rocks took the drills forever to penetrate. After becoming frustrated by these difficulties of drilling with the standard “fishtail” drill bit, Hughes, Sr. devised a superior two-cone bit, which made drilling easier and virtually revolutionized the oil industry. 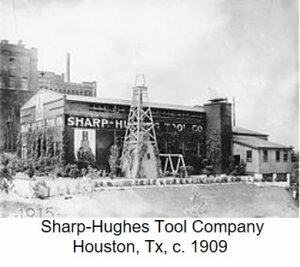 Hughes patented the technology in 1909 and, with partner Walter Sharp, formed the Houston-based Sharp-Hughes Tool Company to manufacture the bit. After Sharp died in 1912, Hughes, Sr. bought his interest in the company. When he in turn passed away in 1924, Howard Robards Hughes, Jr., an only child whose mother had died two years earlier, inherited the thriving company and became a millionaire. 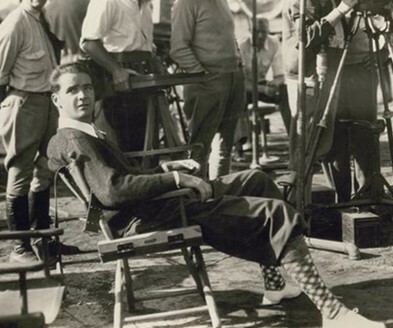 Hughes, Jr., then only 18-years-old dropped out of Rice University, let others manage the oil-tool business and set out for Hollywood in 1925. This begins what Nix (2015) describes as a lifetime journey for one of the world’s wealthiest men who became a Hollywood filmmaker, record-setting aviator and business mogul who once owned a big chunk of Las Vegas and controlled a major U.S. airline (TWA) and other interesting ventures such as the Spruce Goose and looking for sunken Soviet submarines off the US coast. Later in life, however, he became an eccentric recluse who feared germs and shunned personal hygiene. And, as with many men of his generation, he embarked on a road to severe hearing loss. While the road to hearing loss probably began with his initial flying lessons as a teenager, the real damage most likely occurred during the shooting of the movie “Hell’s Angels“. At the time, the most expensive movie ever made at 3.95 million (57,000,000 in 2016 dollars) and after a couple of unsuccessful box office showings, Hell’s Angels needed to be a success. This was Hughe’s first attempt at movie directing after two directors quit because of his rants of “not enough realism”. 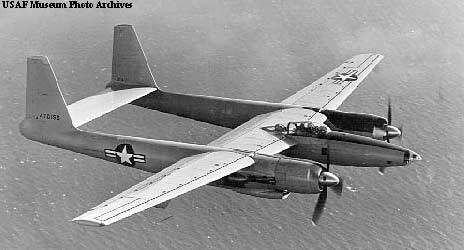 He and the other pilots were exposed to huge amounts of machine gun and explosion noise during the dogfighting scenes. 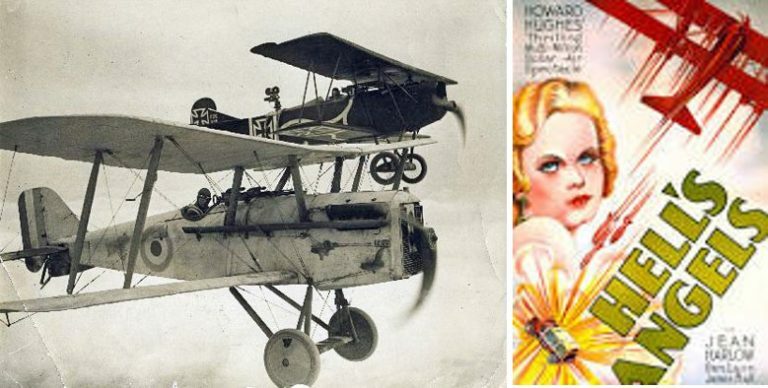 While references do not indicate the medical specifics, it is known that as a pilot in the movie, Hughes crashed of one of these WWI vintage planes and suffered a skull fracture. Click on the picture of the WWI fighters and the movie poster for how real this footage was presented. These days these movie shots would be done with models in a laboratory, not with real planes. This was only the beginning of the noise exposure for Hughes. After the movies, major business interests lay in aviation, airlines, and the aerospace and defense industries. Learning to fly as a teenager, Hughes along with many of his generation was a lifelong aircraft enthusiast and pilot. He set many world records and commissioned the construction of custom aircraft for himself while heading Hughes Aircraft at the airport in Glendale, CA. While there is no doubt that his noise exposure piloting the aircraft of this era greatly contributed to his hearing loss, further damage to his hearing would also have been the 3 other airplane crashes after the one while filming Hell’s Angels. Even His girlfriend, Katherine Hepburn (Kate Blanchet in the movie Aviator) knew of the hearing loss, click on the movie clip to hear her say it! These crashes would be while setting the 1935 air speed record in the Hughes Racer, at Lake Mead in 1943 where the propeller snapped killing two others, and his Beverly Hills near fatal crash of the Hughes XF-11 in 1946 that probably contributed substantially to his hearing loss. He was expected to die from the multiple fractures and burns over 78% of his body, leading to the liberal administration of morphine and the beginning of his lifelong addiction to opiates, particularly Codeine to ease the pain. His physicians would tell us later that he took as many as 20-30 aspirin tablets and 40 codeine tablets a day. These days we know much more about drugs than in 1946. For example, a study described by Hear-it.org (2009), carried out by Australian researchers found that regular users of codeine risk losing part or even all of their hearing. According to the study, far from all codeine users suffer hearing loss, but this serious side-effect seems to strike randomly, suddenly and permanently. In extreme cases, use of codeine at recommended doses over 1-4 years can result in total deafness and Hughes used Codeine for 30 years. Later as he aged, Hughes became Obsessive Compulsive (OCD) and therefore was eccentric about many things especially germs being everywhere. According to Bartlett and Steele (1979), the instructions for detailed for removing his hearing aid from the bathroom cabinet. “Before the hearing aid could be removed its storage place for use staff had to use between six and eight new tissues as a barrier when turning the bathroom door knob, the door is to be left open so there will be no need to touch anything when leaving the bathroom. The same Kleenex may be used to turn on the spigots so as to obtain a good force of warm water. This Kleenex is then disposed of. A new set of six to eight Kleenexes were used open the cabinet containing the soap and a fresh bar of soap that has never been opened is used. 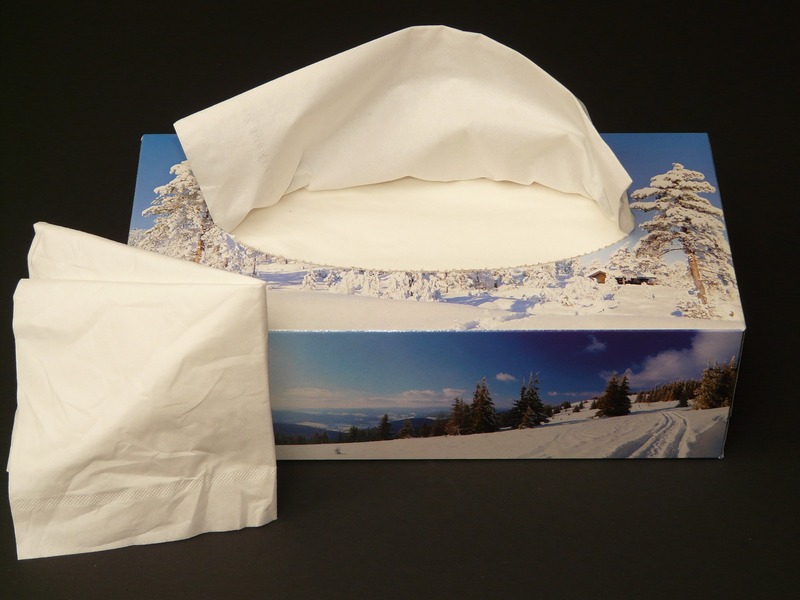 All Kleenex that has been used to this point is disposed of. The hands are to be washed with extreme care, far more thoroughly than they have been washed before taking great pains that they hands did not touch the bowl, spigots or anything else in the process. Great care should be exercised when setting the soap down on the soap dish or whatever it is set on so that the hands do not come into contact with anything. A new set of 15-20 Kleenexes are now used to turn off the spigots and these Kleenexes are now thrown away. The door to the cabinet is to be opened with a minim of 15 fresh Kleenexes. (Great care must be exercised in the opening and closing of the cabinet doors. They are not to be slammed or swung hastily so as to raise any dust, yet exceeding care is to exercised against letting insects in) Nothing inside the cabinet is to be touched–inside the doors, top of the cabinet the sides–No other objects inside the cabinet are to be touched in any way except the sealed envelope to be removed. The sealed envelope with the hearing aid is to be removed with 15 new Kleenexes if both hands are used that 15 Kleenexes are used for each hand.” Now THATS REAL OCD! No wonder he did not use his hearing aid very often; by the time they were able to get the device ready, the conversation was over! Althucher, J. (2017). 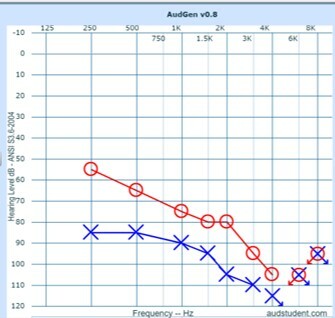 About the time I went Deaf. Altucher Report. Retrieved November 13, 2017. Bartlett, D. & Steele, J. (1979). 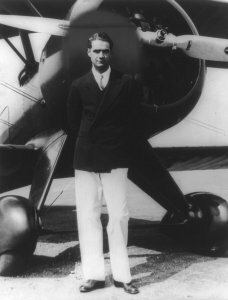 Howard Hughes: His life and Madness. Norton & Company. Retrieved November 13, 2017. Breo, D., (1979). 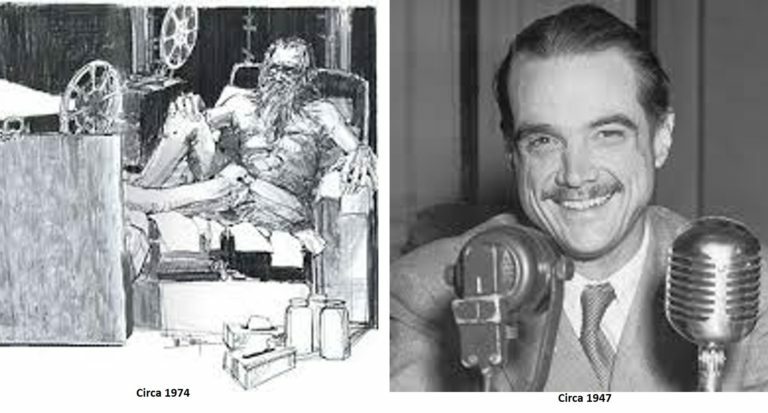 Howard Hughes’ Doctor Gives a Chilling Description of His Strange Patient’s Final Hours. People. Retrieved November 13, 2017. Hear-it.org (2009). Codine can cause hearing loss. Retrieved November 14, 2017. Nix, E. (2015). 7 Things You May Not Know about Howard Hughes. History. Retrieved November 12, 2017. Wellman, D., & Musick, M. (2015). Boxes: The Secret Life of Howard Hughes, 2nd Edition. WriteLife Publishing. Retrieved November 13, 2017. Wolf, R. (2011). How OCD affected Howard Hughes. Health guide info.com. Retrieved November 13, 2017. Yberra, M. (2001). Author Climbs Inside Strange World of Howard Hughes. Los Angeles Times. Retrieved November 13, 2017. In part 1 we discussed the bizarre behavior of one of the richest people in world history, Howard Robards Hughes, Jr. There are reasonably credible stories that have surfaced about Mr. Hughes suggesting that the person on record as dying as Howard Hughes while descending into Houston April 12, 1976 may not have actually been him. It seems that Mr. Hughes was quite prone to using doubles to fool the public, the government, and business associates as to his whereabouts, but we will present that case next week. For the purposes of Part II, lets assume that the person who died in the airplane was actually Mr. Hughes. There are reports (Breo, 1979) of hearing loss during childhood, but these could be simply childhood ear infections that would come and go with childhood or real hearing loss from high fever or other disorders but there is not much evidence of this is available. His doting mother was known to be concerned about “Sonny” her only child contracting polio, a major childhood disease of the time, and was obsessed with “germs” and cleanliness, an issue that was transferred to Howard and haunted him throughout life. From a clinical standpoint, of more concern to his hearing was the substantial exposure to aircraft noise, concussions and skull fractures (depending upon where and how these took place) from airplane crashes, use of opioids in the form of codeine and aspirin as well as possible aminoglycoside toxicity in treatment which may have been for the burns he suffered over 78% of his body in the nearly fatal 1946 crash of his XF-11 plane. But…..What of the Hearing Loss? As for the hearing loss, Mr. Hughes had some devastating experiences relative to hearing over his lifetime. While there are no audiograms that are readily available for Mr. Hughes it is possible to predict hearing loss based upon the known noise exposure, injuries and drug ingestion. His noise exposure had to be huge in that he was flying in open cockpit planes for his epic movie and further noise exposure was to other aviation noises which we know are devastating to hearing. Additionally there has to be some ototoxicity with his high consumption of codeine the other drugs, such as aspirin, valium and others. Blakely & Schilling (2008) present that, “Ototoxicity associated with narcotic-acetaminophen combinations is not widely recognized. This can be the cause of severe-to-profound hearing loss that may be overlooked.” When this issue is coupled with the intense noise exposure, it would probably leave the person with a severe to profound hearing loss. Review of his testimony in the late 1940s, as suggested above, indicates that he favored his right ear so probably there was a bit less impairment for the right side. While I have no audiometric evidence to support my estimates, I would suspect that Mr. Hughes’ hearing loss at the time of his death in April 1976 would be similar to the audiogram above or possibly worse. 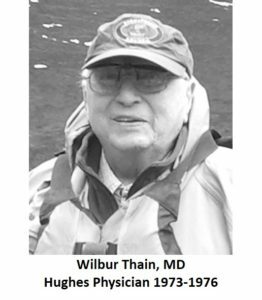 Additionally, this type of hearing impairment is often accompanied by significant tinnitus and Hyperacousis which would have contributed to all of the issues outlined above by Dr. Thain. Addiction Hope (2017). Codeine Abuse Causes, Statistics, Addiction Signs, Symptoms & Side Effects. Retrieved November 21, 2017. Althucher, J. (2017). About the time I went Deaf. Altucher Report. Retrieved November 31, 2017. Blakley, B. & Schilling, H. (2008). J Otolaryngol Head Neck Surg. 2008 Aug;37(4):507-9. Retrieved November 20, 2017. Gilchrist, A. (2015). 5 Medications that may cause hearing loss. Pharmacy Times. Retrieved November 20, 2017. Howard Hughes BlogSpot (2017). Picture of Hughes with Mother. Retrieved November 27, 2017. AudGen (2017). 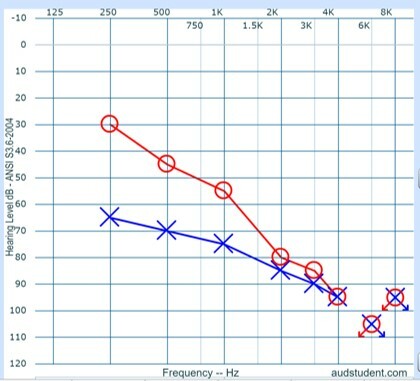 Audiometric Evaluation Simulator. Audgensim.com. Retrieved November 27. 2017. Herlihy, E. (1946). 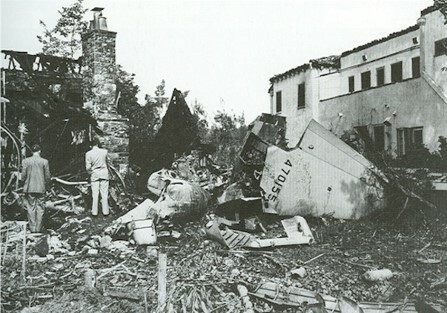 Hughes Plane Crash. Airboyd. YouTube.com. Retrieved November 27, 2017. The story is one of a bizarre journey as Mr. Hughes goes from being a famous movie maker, aviator and aircraft designer to the mentally incompetent recluse that we came to know at the end of his days. But was 1976 really the end of his days? Reasonably credible stories that have surfaced that the person on record as may not have actually been him. Hughes was quite prone to the use of doubles to fool the public, the government, the press, and business associates as to his whereabouts. 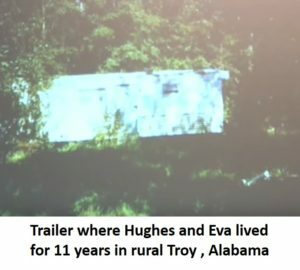 Although there are just about as many sightings of Howard Hughes as there sightings of Elvis, one interesting and credible story suggests Mr. Hughes might just have escaped into obscurity of rural Alabama. 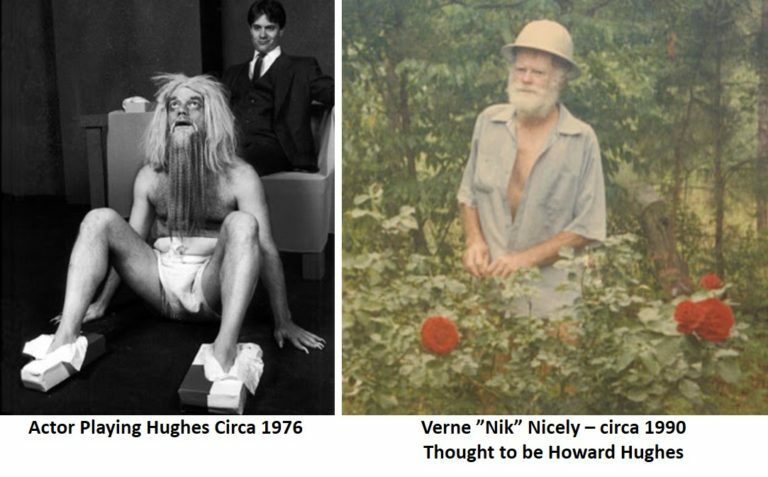 The book, Boxes: The Secret Life of Howard Hughes, now in a second edition, relates evidence that he may have lived for another 25 years, until 2001 as Nik Nicely, a retired aviation mechanic from the Troy, Alabama. The story, related by retired Major General Mark Musick, presents the questions that caused him to conduct further research into the later life of Howard Hughes. Initially skeptical, he kept wondering, “How could Hughes appear to witnesses as an emaciated, long finger nailed and mentally incompetent, yet fly a jet aircraft four months later? How could a doctor describe him as looking like a “prisoner of war,” when at the same time investment bankers, politicians, and diplomats who met him said he was articulate and well-groomed? The answer is a perfect example of the brilliance of the elusive billionaire. He simply found a mentally incompetent man to impersonate him, drawing the attention of the Internal Revenue Service and an army of lawyers who pursued him, while he conducted his business in peace from Panama with his new wife, Eva McLelland.” Although moving around here and there, conducting business from various places phoning orders via satellite phone to the office where the double and his staff resided appears to be the “Hughes Operation” until the death of the mentally incompetent “double” in 1976. The phone calls were untraceable as Hughes owned the satellite phone system at the time. Finally settling in rural Alabama where he and Eva lived in a small trailer, ever ready to move on a moment’s notice. The double is thought to be a small time bit actor, Brucks Randall who was hired by Hughes off and on to play a role as Hughes in various places that he did not want to go. Randall also moved about from place to place showing up as Hughes at various activities while the real Hughes was off doing business somewhere else. While their relationship begins in the late 1940s, Hughes hires him from 1957 to 1968 to confuse those looking for him. In 1968, Randall was shot in the back of the head and lived but incurred significant brain damage while playing Hughes. Hughes felt obligated to take care of Randall and concocted a great scheme to take care of his double by having this Brucks Randall “play him” for the rest of his life. Simultaneously, using his connections with the CIA, Hughes acquired the identity of a former CIA employee, Nik Nicely. Nicely had mysteriously disappeared in the late 1960s, after a counter drug activity assignment in Central America. Hughes, alias “Nik,” had many reasons to seek refuge and had the “resources” to be successful. Hughes had CIA connections from assisting the government in the resurrection of a Soviet Submarine off the coast of Hawaii and was quite a contributor to Nixon campaigns. There is even speculation that the missing 18 minutes of the Watergate tapes relate to the break-in at the Democratic Headquarters by the “plumbers”, indirectly associated with Hughes. And for the years 1972 and 1973, Howard Hughes’ description bounced between a long finger-nailed mentally incompetent man and a well-groomed articulate businessman. Confusion ran rampant as the two distinctive descriptions of Hughes spread throughout in the media waves. It is speculated that without Howard Hughes, the Watergate burglary would never had happened and President Nixon would have finished his term with distinction. The long finger-nail, bed-ridden, mentally incompetent “Hughes” who died in 1976 was a stand-in and very likely, Brucks Randall, a brain damaged actor playing an Oscar role and Nik Nicely was an Alabama recluse. While there are no records, such as audiograms and speech recognition scores to support the residual hearing of Howard Hughes, there are reports of evaluations out there that have concluded that Nik Nicely’s VA audiogram and that of Howard Hughes were essentially the same. Now without the Ototoxicity component presented last week his hearing would have been impaired, but not to the degree mentioned last week. The impairment would have probably been mostly from noise exposure and a few accidents, even a skull fracture and look more like the one presented here. Angentalimages (2017). Image of Howard Hughes and Brucks Randall. Retrieved November 6, 2017. Musick, M. (2011). www.youtube.com Retrieved December 4, 2017. Musick, M. (2016). Washington County Historical Association Lecture. Retrieved December 4, 2017.